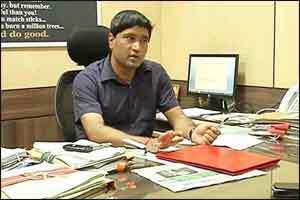 New Delhi: Citing “relentless persecution”, whistleblower bureaucrat Sanjiv Chaturvedi has asked Prime Minister Narendra Modi to disclose the details of the 2014 conversation he had with then Union health minister Harsh Vardhan. The conversation between Modi and Vardhan led to his removal as an anti-corruption officer of the All India Institute of Medical Sciences, Chaturvedi has said in a letter to the prime minister on February 28. In his letter, Chaturvedi said he was subjected to “relentless persecution” and dragged into “endless litigations” in more than a dozen court cases across four high courts, tribunals and Supreme Court after the phone conversation between Modi and Vardhan on August 23, 2014. A detailed note in this regard is submitted for the perusal of Hon’ble Prime Minister of India,” the letter said. In his letter to the prime minister, Chaturvedi has cited a May 2014 file noting of then health secretary mentioning his exemplary performance as CVO. He has also cited the Parliamentary Committee Report of August 2015, which strongly deprecated the non-serious approach of the Ministry towards tackling such a large number of cases of corruption at AIIMS. Recently, in a case related to the award of zero gradings into his annual performance report, Uttarakhand High Court termed the central government/AIIMS vindictive and imposed a fine of Rs 25,000.